Butter is not getting any cheaper so if you find a good deal at the supermarket buy it up and can it for use later down the line. 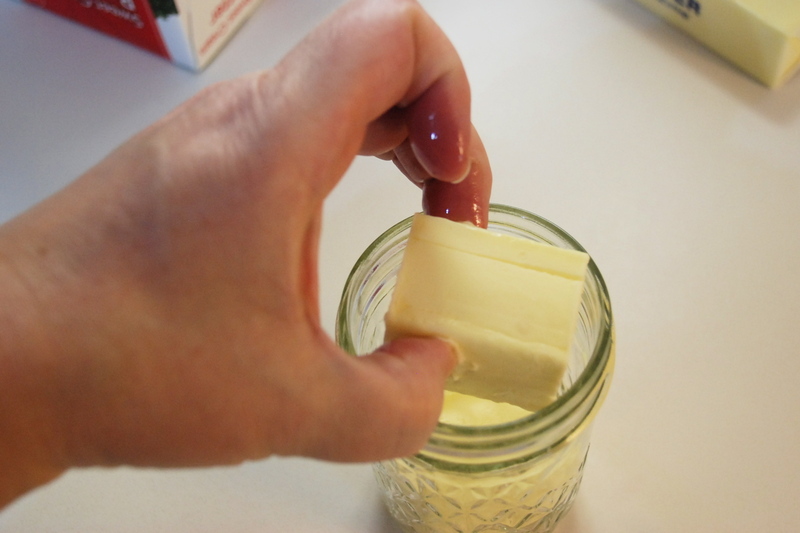 You can even can your homemade butter using this method. 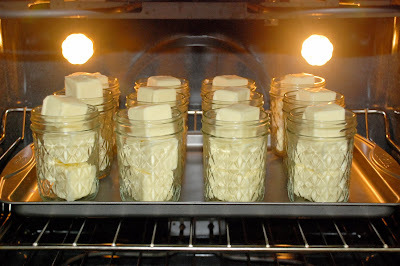 teresatronierphotography.blogspot.co.uk shares an excellent canning method for canning and storing butter. One evening at church one of the ladies mentioned that you could bottle butter and store it for 3 year. I hadn’t seen so many women interested in a comment about preserving food in a long tim. I received the instructions from her and have been bottling butter for my food storage ever since. 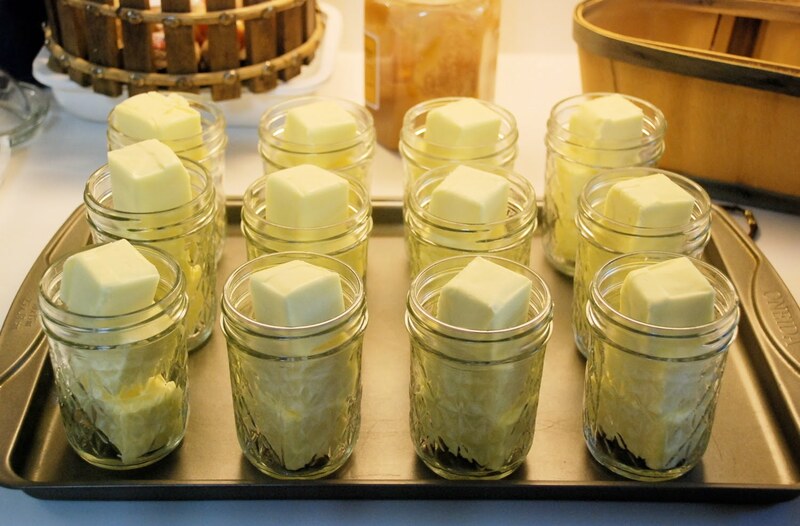 Open up twelve sticks of butter and cut each stick into two – three tablespoons sections and one – two tablespoons section. 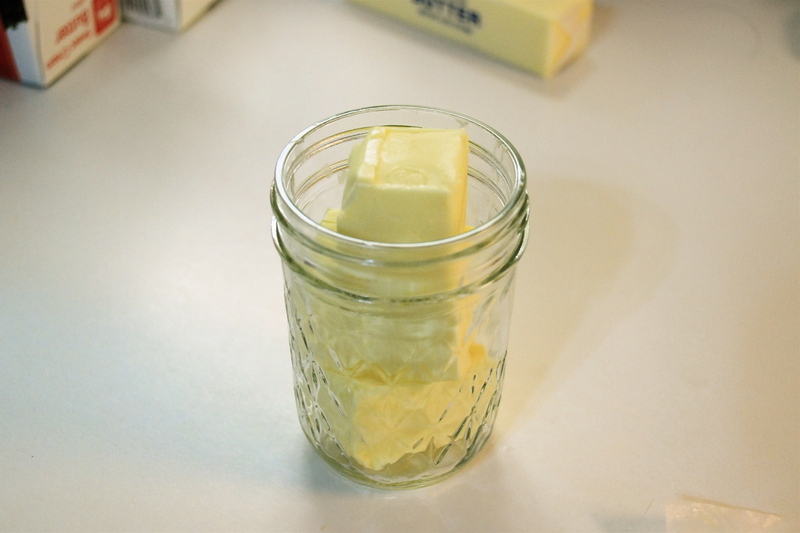 Drop the two – three tablespoons sections in the bottom of the jar length wise. 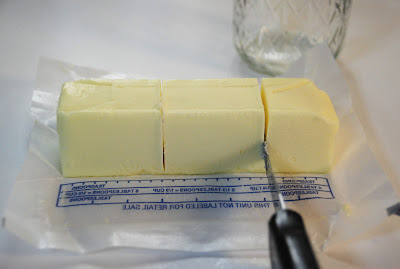 Then very carefully place the one – two tablespoons section in the middle on top. 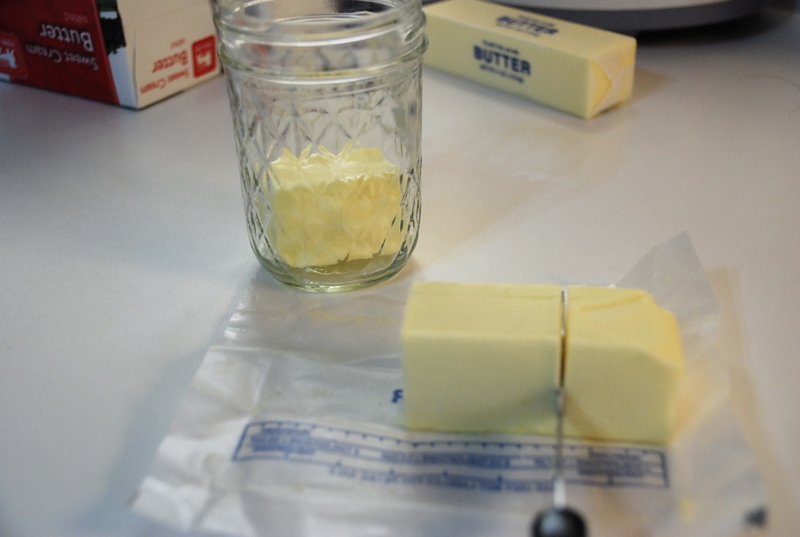 The butter will stick up a little above the rim. Put your jars in the oven at 225°F for 15 to 20 minutes.